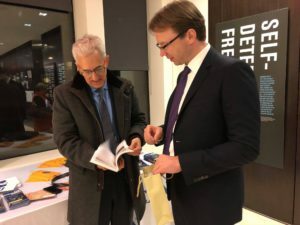 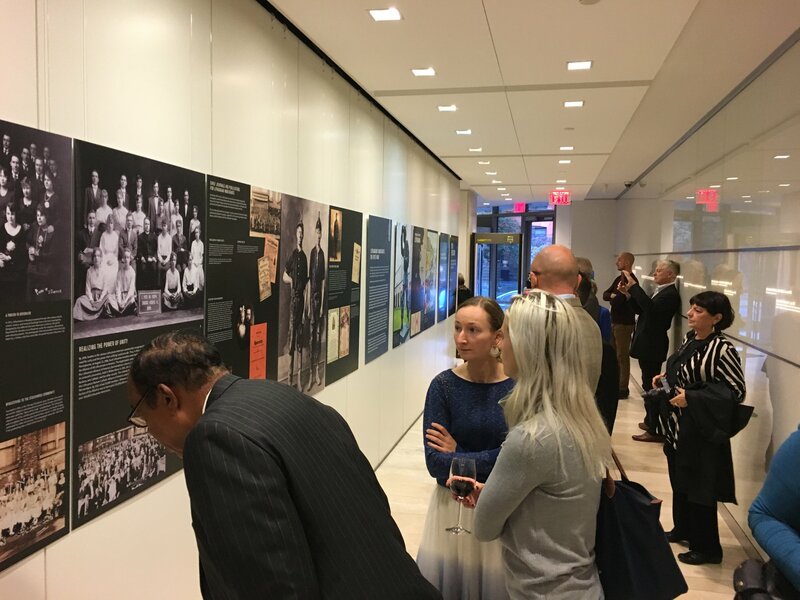 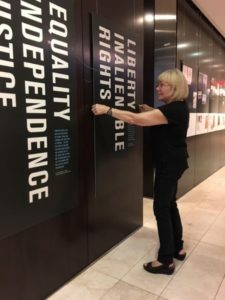 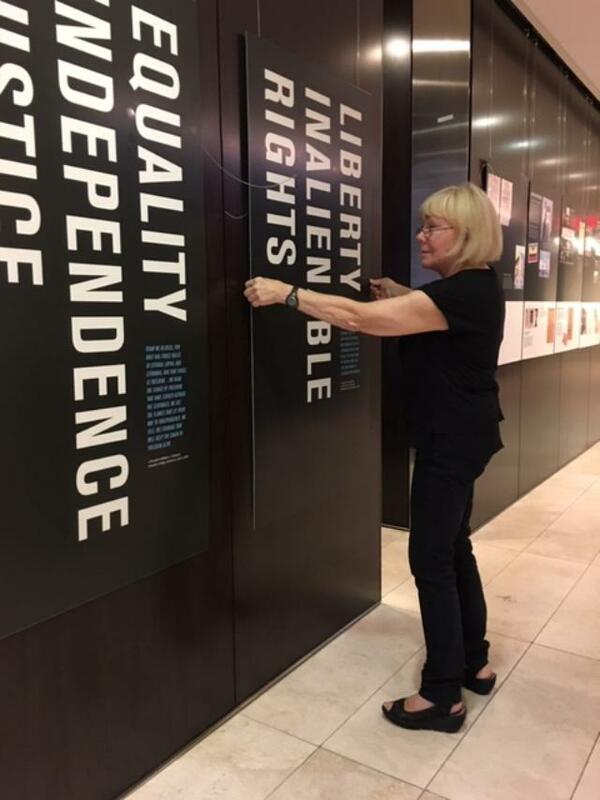 On October 24, 2018, a traveling exhibition “For Freedom” put together by Balzekas Museum of Lithuanian Culture was opened at the European Union in the United States. 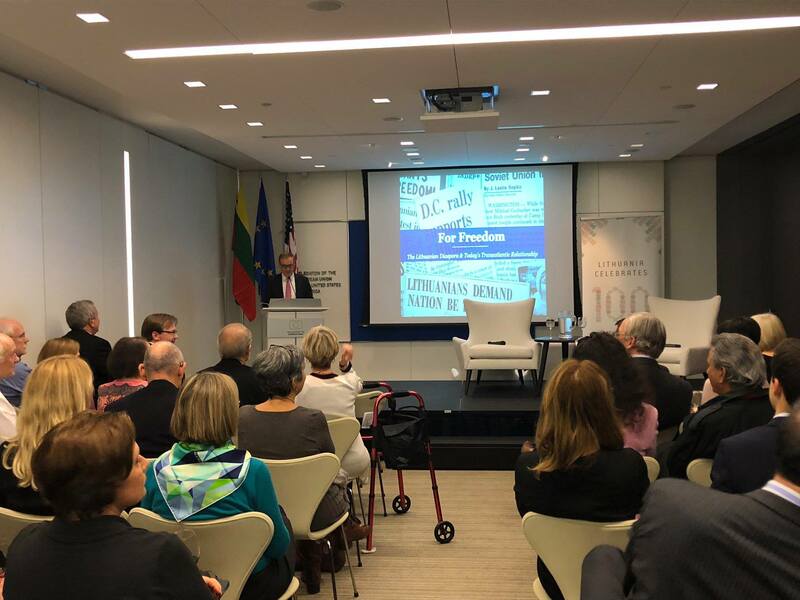 A discussion about the ideals of freedom and democracy and the role of Lithuanian-Americans in achieving Lithuania’s independence complemented the exhibition. Panelists fellow Jeffrey Gedmin from Atlantic Council, the curator of the exhibit Irena Ursula Chambers, Inga Stanytė-Toločkienė from the Foreign Ministry of the Republic of Lithuania and the Ambassador David O’Sullivan of European Union in the United States said a few welcoming remarks. The art exhibit “For Freedom” captures efforts of Lithuanian-Americans in fighting for and maintaining Lithuania’s status as an independent nation over the past century.